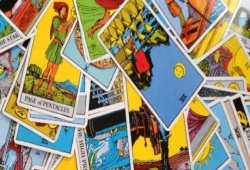 You are here: Home / Free Tarot Reading Online / How To Do A Tarot Card Reading? To some people, it’s quite exciting when entering and discovering the Tarot world. These magical cards play a very vital role in disclosing important information about their love, health, career, and so forth. If you want to know how to do a Tarot card reading, please follow our basic guidance below so that you can carry out the reading for yourself. Owing to that, you can maintain a spirit of your mindfulness. Let’s start! Set your own mood – The most important thing before reading the Tarot is that you need to set up a quiet and relaxing environment. You are able to mediate or light a candle, and then please focus on your mind to get rid of unnecessary thoughts. Ask your question – After feeling centered, let’s pick up your Tarot deck and hold them in one hand. You need to close your eyes to bring your energy to them. Next, start asking your question by saying loudly. Ensure to ask the clear and exact question that you want to know. Shuffle the cards – Open your eyes and then start shuffling the cards. Remember that this action is rather significant in the reading. Ah, don’t forget to focus on your question when shuffling. Cut the cards – After feeling enough, stop and put the cards in front of you to cut them. Try to do in one quick motion and please use your left hand to do. Lay out the cards – You need to choose a suitable spread for your question at first, and then follow the prescribed positions to put the cards correctly. For instance, you choose the 3-card spread to explain your question. Pick up each three card from the left to right, okay? 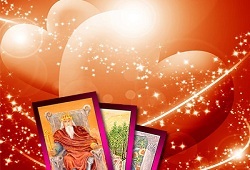 Notice your response to the cards – It’s not easy for you to remember all the usual meanings of each card. Therefore, you need to avail your initial feelings when turning each card over. Explain the cards – After turning all the cards over, you can use a Tarot book to analyze all of them. One special thing during the reading is that you can create your own story to help you understand your situation clearly. Relying on that, you can get a useful guidance for your future. End the reading – You can write down the summary of your reading. It depends. But, remember to say “thank you” to the Spirit before closing. Don’t be hesitant to send us your feedbacks about the question “How To Do A Tarot Card Reading?” in the textbox below for our rapid answers!